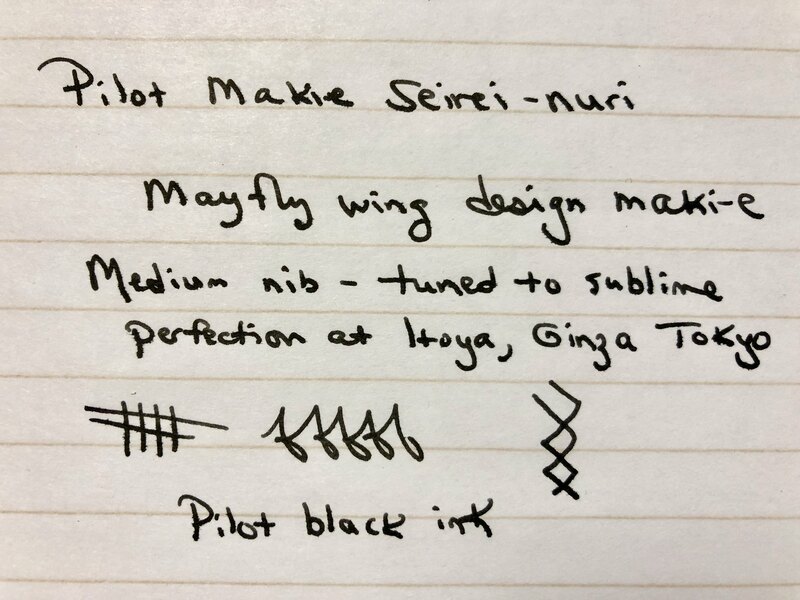 Here is my Pilot Maki-e Seirei-nuri pen that I purchased at Itoya in Ginza, Tokyo. I had not ever seen this design before in person and was quite smitten. 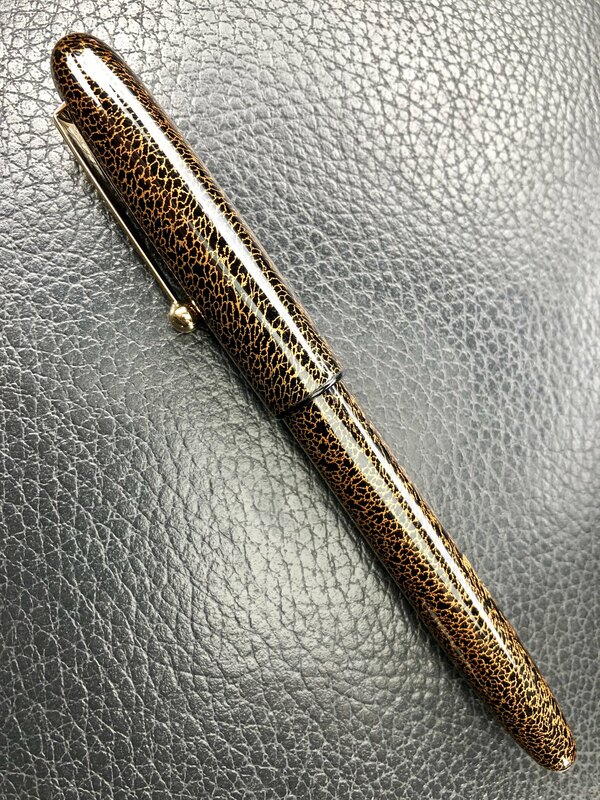 Of course, there were many amazing pens and maki-e pens to boot at Itoya but this is what I walked out with. This design is made thus, which is a clever technique of floating urushi in water. 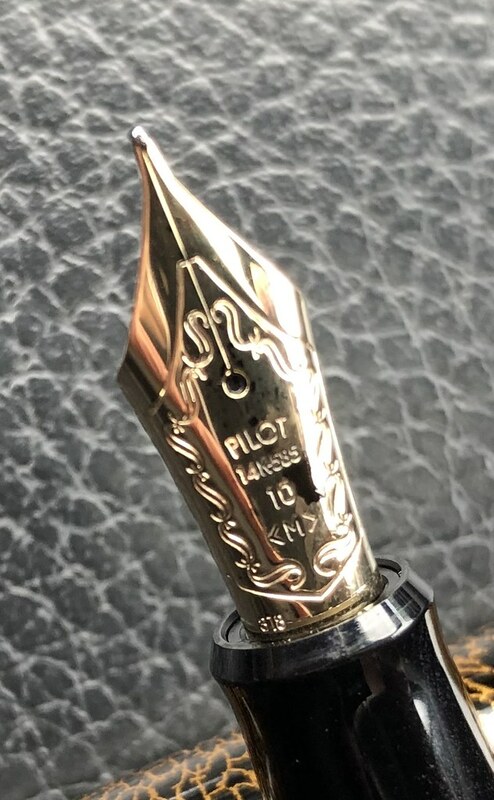 Pilot has a long history making pens using this technique usually done with a black or red background and gold maki-e gossamer on top. Danitrio has done this. Edison pens has done this. Not sure about Sailor, Platinum, Nakaya, etc. but Pilot seems to the de facto owner of the technique. Usually, it is translated as dragonfly wing design, and that is hard to argue, but the mayfly wing is also a candidate. The dragonfly is especially meaningful in Japan but the mayfly is also famous in Japan going back at least to the 11th century and the Tale of Genji. 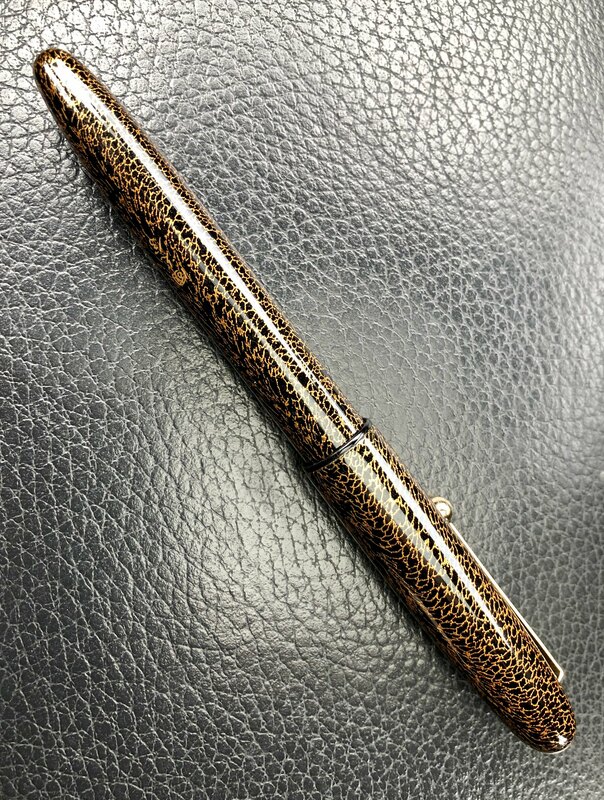 Regardless it’s a lovely and totally unique pen as no two can ever be the same. The nib was expertly adjusted by the resident meister at Itoya and it is freaking perfect. Like, perfect. Just a light touch is needed for generous but far from gushing ink flow. The nib has the faintest hint of feedback without being intrusive. The lady working there is a savant! 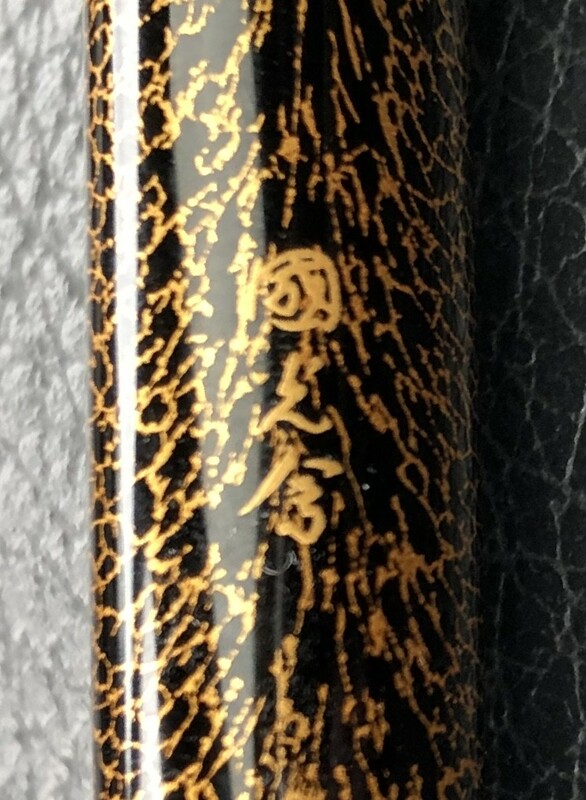 Signed by the Pilot/Namiki Kokkoukai urushi guild this is a bit of fountain pen heaven. 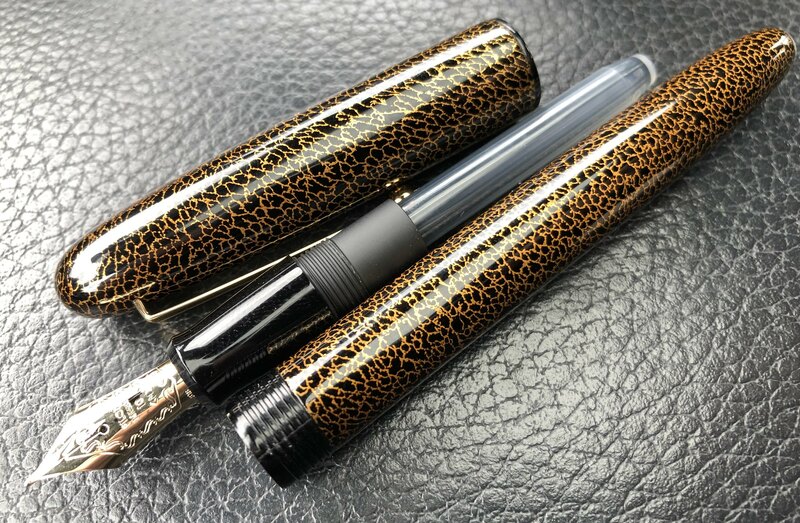 Congratulations on a very beautiful pen! I love the seirei-nuri finish and your photos do it great justice! 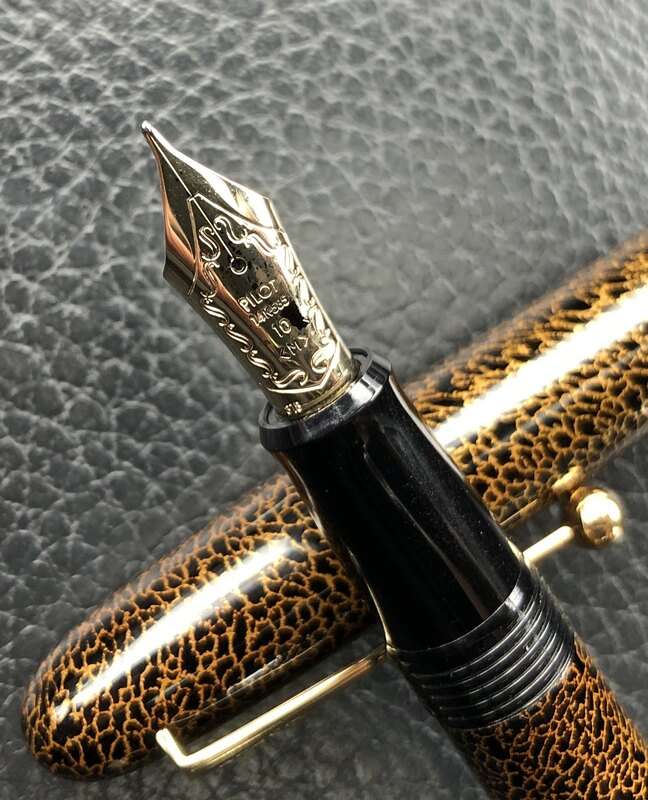 What a beautiful pen ! Enjoy it in good health ! Beautiful and dramatic! Thank you for sharing your stunning photographs. 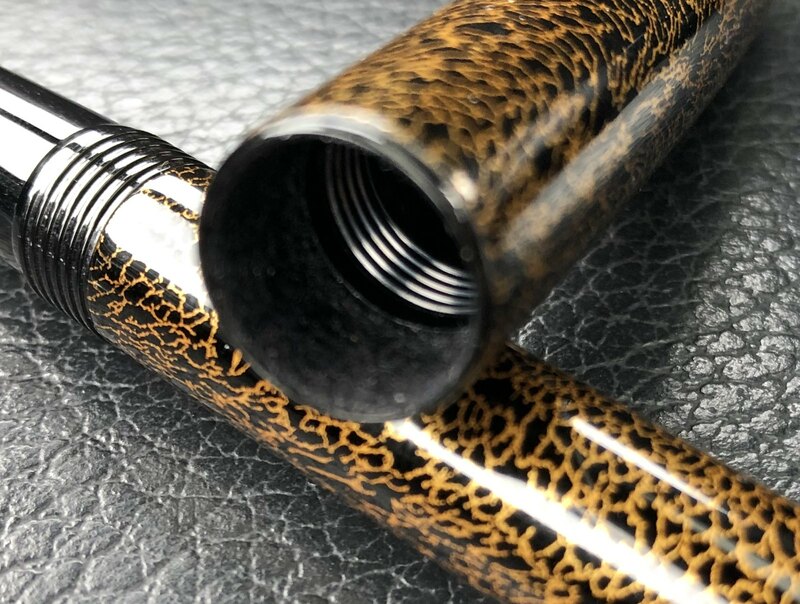 It is a beautiful.and unique finish. Wow... That is cool looking. Use it well. Wow what a stunner! Congrats!